I have been a fan and student of Pilates for years, the last 3 under Amanda’s instruction. Her knowledge of true, classical Pilates is exceptional. Her focus on proper body movement and breathing make her –classes effective, safe and enjoyable. I would go nowhere else! I’ve been taking Pilates classes from Amanda for two years. I have tendonitis in my right shoulder and was getting cortisone injections every six months. Since starting Pilates, I haven’t needed one and have improved my strength and range of motion. I wouldn’t have believed that I could exercise for an hour and enjoy it, but I do! I’ve found Power Pilates to be the best method of developing and maintaining muscle flexibility, tone, and strength while not stressing joints. I experienced results very quickly under the expert instruction of Amanda Gardner. Amanda is a skilled professional who sincerely cares about her students. She assessed where I was, got me started and continues to challenge me. I have been doing pilates with Amanda for over two years now. She is a dedicated instructor, who is knowledgeable and personable. Amanda learns the individual abilities of her students, and that allows her to make each class challenging, for each student, every time. Her pilates workouts will make you stronger and more flexible than you ever thought possible! Amanda’s expertise in pilates and guidance has transformed my body in an incredible way! My core is tight and flat, my triceps are toned, and my legs are leaner than they have ever been! It’s not a proud day when you awake from your sleep and can’t roll up and over without the assistance of your arms and hands to support you. I heard about Pilates and how the exercises target the core of your body. Pilates was the answer I had been looking for to strengthen that particular area! I went from struggling and modifying every single exercise to now participating in advanced movements during classes. Amanda Gardner was the right instructor for me. I was fortunate enough to find someone who genuinely took an interest in my personal fitness goals. Amanda is great at circulating to all of her clients in class to ensure that we are doing each exercise with correct form and precision. She offered the variety and the support I needed throughout my fitness journey. Even after two years, Amanda still finds ways to challenge all of her clients. I’m a Pilates lifer! 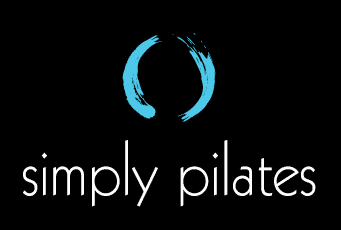 Pilates has helped to make me stronger, improve my balance and flexibility, and to improve my posture. People think I am 10-15 years younger than I am. Amanda is an excellent instructor and is also very attentive and sensitive to individual needs. She uses clear and easy to understand instructions. The classes have a basic structure, but Amanda changes each class enough to target different areas to make every class challenging and interesting.